The Ruhmeshalle (Hall of Fame), situated above the Theresienwiese, place for the largest Volksfest world-wide, the Oktoberfest, is an U-shaped open hall in Graeco-Roman style. It was constructed from 1843 to 1853 by Leo von Klenze, under King Ludwig I of Bavaria. It honours distinguished persons of Bavarian history. 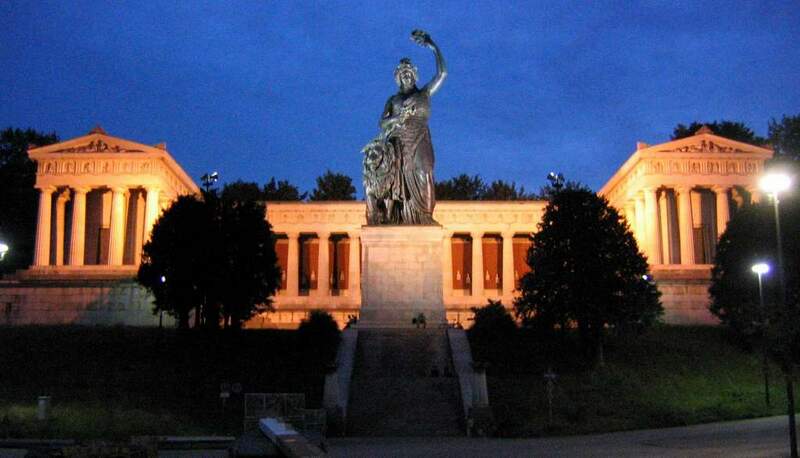 The bronze statue in front of the hall represents the State of Bavaria. Interesting to see all the faces of the honoured Bavarian people. Olympic Park is our next stop.